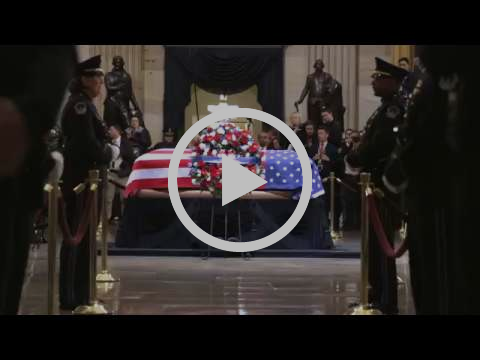 Video: President Trump and the First Lady pay their respects. After signing the trade deal that will replace NAFTA at the G20 Summit in Argentina last week, President Trump held breakthrough talks with Chinese President Xi Jinping that could reshape American trade for a generation. “President Xi and I want this deal to happen,” President Trump tweeted today. Larry Kudlow, Director of the National Economic Council, said that while a specific deal would need to be negotiated, Presidents Trump and Xi reached an “understanding” in Argentina that China’s 40 percent tariffs would soon disappear. “We expect those tariffs to go to zero,” Kudlow said—adding that America will know soon whether China is serious about an agreement. President Trump championed growth and prosperity at the G20 Summit.